According to a study by the U.S. Census Bureau, there were 46.7 million Americans living in poverty in 2014, or a poverty rate of 14.8 percent. The picture was even bleaker for many ethnic and racial minorities. The same study found that 26.2 percent of African Americans (10.8 million people) and 23.6 percent of Hispanic Americans (13.1 million people) lived in poverty. Children were also particularly vulnerable. The study reported that 21.1 percent of Americans under the age of 18 lived in poverty. What qualifies as living in poverty? The answer is not simple. A number of factors are involved in calculating income, and the Census Bureau has created 48 possible poverty thresholds. Broadly, however, any single individual younger than 65 with an income of less than $12,316 or any single individual 65 or older with an income of less than $11,354 is considered to be living in poverty. The poverty threshold for two people under the age of 65 living together is $15,934, and the threshold for two people over the age of 65 living together is $14,326. For a family of three — one child and two adults — the threshold is $19,055. For a family of three with one adult and two children, the threshold is $18 higher at $19,073. The thresholds are derived using the Orshansky Poverty Thresholds, a formula originally developed in the 1960s by Mollie Orshansky, an economist working for the Social Security Administration. The formula compares pretax cash income against a level set at three times the cost of a minimum food diet in 1963 in today’s prices (updated annually for inflation using the Consumer Price Index). However, these numbers can’t truly capture the reality of daily life for those living under the strain of poverty, say counselors who regularly work with client populations that are economically disadvantaged. Imagine taking multiple buses and dedicating up to two hours of travel time to get someplace that someone who owns a car can reach in 20 minutes. Imagine having to choose between buying groceries or paying the electric bill. Imagine managing a chronic illness while living on the streets. Counselors are trained in diversity and multiculturalism, but does this awareness of discrimination and alternative worldviews necessarily include those living poverty? Not often enough, asserts Pam Semmler, a licensed professional counselor (LPC) and private practitioner in Denver. “I’ve been to a lot of diversity trainings, and none of them covered socioeconomic barriers,” she says. The average counselor doesn’t have adequate training or even a good frame of reference when it comes to clients living in poverty, says Semmler, who spent more than nine years counseling clients at the Colorado AIDS Project. The project is part of the Colorado Health Network, a statewide organization that provides health services, case management, substance abuse counseling, housing assistance, transportation, nutrition services and financial assistance to people with HIV and those at risk. Semmler has also provided training to staff at the Colorado Coalition for the Homeless on diversity issues specifically related to working with those in poverty. Of course, people living in poverty are not one monolithic culture, Semmler stresses. However, they do share something deeply significant: a lack of money and limited access to the resources that money typically makes available. “Poverty is actually a lack of multiple resources,” Semmler says. Financial resources are the most obvious, but those living in poverty also often lack health, housing, social, family, emotional and sometimes even spiritual resources, she continues. To help clients living in poverty, counselors first need to understand the barriers that these individuals face in their everyday lives, say Semmler and other experts. Because counselors often come from middle-class backgrounds, the practice of counseling often reflects those experiences and values, but practitioners should take care not to judge clients through this lens, says Foss-Kelly, an American Counseling Association member and LPC who has worked in community counseling settings with clients living in poverty. Chelsey Zoldan, an LPC, currently works as a counselor at the Medication Assisted Treatment Department at Meridian HealthCare in Youngstown, Ohio. But she has also counseled those in the rural Appalachian section of the state and says that time issues — mainly clients not having enough of it and being late to appointments — were among the most common obstacles. Many clients living in poverty have unreliable transportation or no transportation at all, Zoldan points out. In some states, public agencies may provide transportation to community clinics and other services for those living at or below the poverty line, but there is no guarantee that transportation will be timely, she continues. Some clients rely on rides from friends and family, but the person doing the driving sets the schedule, which may not fit with the client’s needs. In other instances, friends and family members may not be reliable when it comes to promises to drive or offer other assistance, she says. Public transportation may not be readily available or may require multiple transfers on a sporadic schedule. Zoldan, an ACA member, points out that it may take clients relying on area bus service two hours to get somewhere that it would take her 20 minutes to drive to in her car. She adds that the bus schedule is inscrutable to her and her colleagues, but that clients who are struggling to get by financially routinely navigate the inconsistent routes and take multiple buses to get where they need to go. Unfortunately, as a result, they are often late or even miss appointments altogether. “Some counselors might interpret this as meaning that they [the clients] don’t care or aren’t committed to the process,” Zoldan says, acknowledging that she had to shift her own perspective regarding timeliness when she first started working with clients who were economically disadvantaged. Some health care and other service providers may not be willing to accommodate these scheduling challenges, and that is a problem, Zoldan says, because these clients still need to be seen. And if a provider turns them away after they are late in arriving, they may not come back at all, she points out. Clients who are economically disadvantaged may also have limited work flexibility or lack child care, adds Kress, who is the community counseling clinic director, clinical mental health counseling program coordinator and addiction counseling program coordinator at Youngstown State University in Ohio. Counselors need to be sensitive to the logistical problems that these clients face, she says. When possible, Kress says, practitioners should consider providing in-home counseling and flexible or drop-in scheduling. In addition, clinics or practices that have the resources might consider offering day care and transportation assistance, which could involve providing the actual transportation or giving out public transportation vouchers, Kress says. As Kress began her counseling career, she realized that many of her clients living near the poverty line were struggling simply to survive. This reality often required her to be more “active” in these clients’ lives than her training had prepared her for. 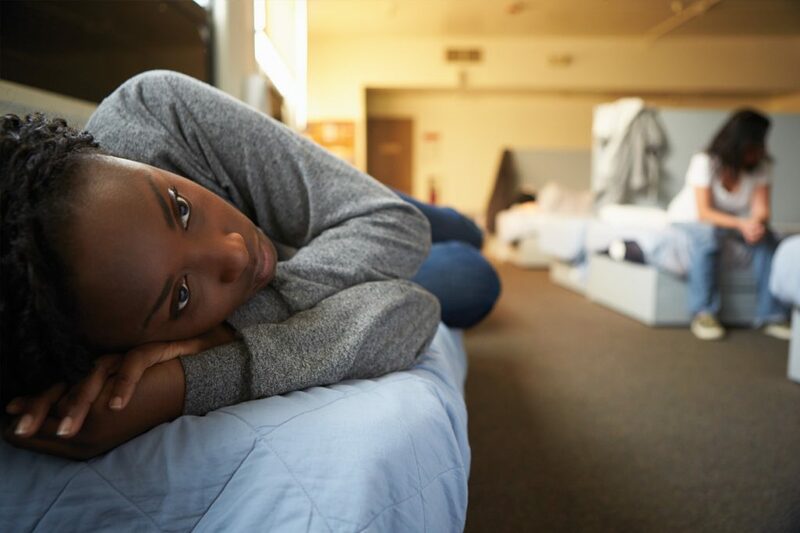 Before counselors can begin to effectively address traditional counseling concerns, they must make sure that their clients’ basic survival needs — including food, shelter and clothing — are being met, say the professionals interviewed for this article. In doing so, counselors working with clients in poverty may find themselves playing many different roles, says Zoldan, who is also a doctoral student in the counseling program at the University of Akron. 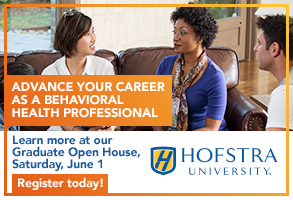 “You might have to be care coordinator, do case management, perform vocational counseling,” she says. 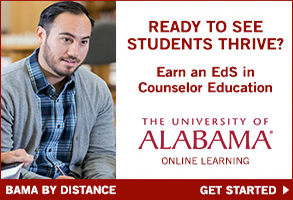 “You might also … help with county health funds, student loans, transportation.” Counselors might also serve as de facto mental health educators for their clients, their clients’ families and even the community at large, particularly in rural settings, Zoldan adds. Some might think that many of these services are the purview of social workers, not counselors. But Kress has a message for those who protest this expanded vision of meeting the needs of clients. Although counselors in community clinics or facilities affiliated with local social services might more commonly work with individuals living in poverty, Kress and others interviewed for this article say that most practitioners will encounter clients who are economically disadvantaged at some point. Because counselors are part of the system, they should work it to their clients’ advantage, say Zoldan and Kress. It can be important for counselors to align with agencies, clinics or charities that offer assistance with food, housing, health care and other needs, Zoldan points out. She urges counselors to build relationships with these organizations and to also make contacts with officials in local service agencies such as job and family services so that clients’ needs can be better met. In addition to the challenges related to basic survival, those living in poverty face many other barriers, Kress says. Common issues among this population include substance abuse, chronic mental or physical illnesses, teenage pregnancy and unsafe living environments that might involve intimate partner violence, she explains. Semmler agrees, saying that many of her clients have never had anyone explain to them how poverty has affected the entire trajectory of their lives. Those in poverty are often blamed for their circumstances and stereotyped as lazy or incapable of saving money, Zoldan says. The reality is that many of these individuals are working two or even three jobs just to scrape by and aren’t saving money because they don’t have any to spare, she says. Several of the counselors we spoke to emphasized the need to help these clients recognize and build on the strengths they have already developed to survive under the strain of poverty. As with any client, counselors should take into account the worldview and individual context of a person living in poverty, says Zoldan, who likes to use strength-based counseling, particularly for those coming from generations of poverty. Contrary to the stereotype of lazy people just looking for a handout, living in poverty actually requires a significant amount of self-sufficiency, Zoldan points out. These clients typically must navigate public transportation and assistance systems and may juggle multiple jobs with child care and other family responsibilities, all of which requires a great deal of planning, she notes. Zoldan recalls a former client who had a backup plan for any major eventuality, including what to do if she couldn’t pay her rent, couldn’t afford food, lost her primary means of transportation and so on. Kress notes that those affected by poverty may also acquire skills and strengths — including the ability to accept and handle difficult situations and live in the moment as needed — that aren’t readily apparent to most casual observers. “Identification and expansion of client and client-system strengths help to provide hope and support clients’ well-being,” she says. In general, people who live in poverty also strongly value relationships, Zoldan says. This can oftentimes be very positive. For example, friends and family members can provide the person both emotional and practical support in the form of child care, meal sharing, housing and so on. However, in some cases, it can also erect another barrier, Zoldan says. “Relationships are valued above all else,” she observes, meaning that counselors need to be aware that getting these clients to set boundaries or remove themselves from unhealthy living situations can be a complicated proposition. Simply telling a client to cut off a relationship is not culturally appropriate, Zoldan says, so counselors may need to encourage other alternatives. For instance, if a client is struggling with substance abuse and her mother and sister are still using in their homes, a counselor might suggest that, rather than cutting off all contact, the client and her relatives talk only by phone or meet in public instead of in the relatives’ homes. 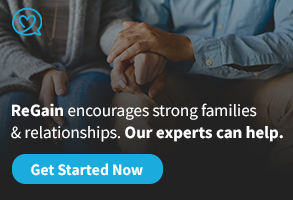 Ending or limiting these relationships with family and friends represents a significant loss of connection for clients. So Zoldan and her colleagues encourage these clients to get involved in 12-step programs in which they can get support and build a family of sorts within the recovery group. Zoldan’s agency also encourages group therapy, which can offer another source of connection and support for clients living in poverty. Semmler is an attachment-focused therapist, so she always circles back to relationships. “When people attach in order to survive, the relationships are not always the most healthy,” she observes. Becoming psychologically healthy may require clients to break some of those ties, so Semmler, during her time with the AIDS project, would encourage clients to make healthy attachments to service providers and other participants in the program. Children living in poverty face many challenges that make it difficult for them to get an education, says Christi Jones, an ACA member who is an elementary school counselor in rural Alabama. The board of education for her school district is trying to remove one significant barrier by matching students who are in need of psychological assistance with mental health counselors. Part of Jones’ job is to help facilitate this process. Jones explains that students in the rural area where she works often need help beyond what she can give them as a school counselor. Transportation is an issue for many of the children’s families, so having an in-house mental health counselor at the school eliminates that barrier and also provides a source of long-term support for children and their families. Jones sometimes continues to collaborate with the mental health counselor to address a student’s difficulties. In addition, because the mental health counselor is at the school only one day per week, Jones sometimes sees students who need additional support. It is hard for children to focus on learning if they are hungry or worried about where the next meal is coming from, Jones says, so she worked with church and community leaders to create a weekend backpack program. “Local churches come each Friday and provide backpacks of food from our local food bank for students to take home,” she explains. During the winter and spring school breaks, families are also given enough food to last until school starts again. Jones also maintains a clothing closet stocked with various seasonal clothes for students in need. She doesn’t wait for these students to approach her before offering assistance. The counselors interviewed for this story emphasize that clients living in poverty want help and want to be heard. “The most important advice I can give [to counselors]: Be authentic and be understanding,” Zoldan says. 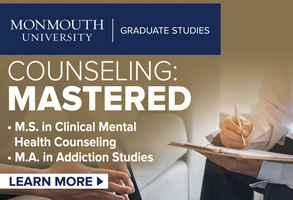 To learn more about the topics addressed in this article, see the following resources offered by the American Counseling Association. In addition, counselors who would like to get involved in issues of diversity and social justice may be interested in joining Counselors for Social Justice, a division of ACA. Founded in 2000, CSJ’s mission is to work to promote social justice in society through confronting oppressive systems of power and privilege that affect professional counselors and their clients and to assist in the positive change in society through the professional development of counselors. Visit CSJ’s website at counseling-csj.org. As an LPC/LCDC working in a court mandated program for probationers with substance abuse and gang related charges, I cannot tell you how much I appreciate this article. I plan to share it with the counselors I supervise at work and have a roundtable discussion about how we address this issue! I find this article vary moving and it strikes the vary core values that I myself believe in. I am student of counseling myself heading for my BAS I would like to source some of your opinions thank you for being so straight with these concerns so many of them will not. 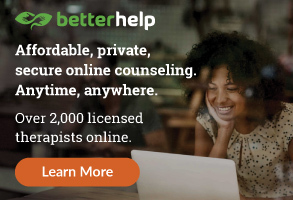 “You might also … help with county health funds, student loans, transportation.” Counselors might also serve as de facto mental health educators for their clients, their clients’ families and even the community at large, particularly in rural settings, Zoldan adds. On student loans’ I say no, Why, because when one is in poverty, do we need to apply more? Pell Grants are a more effective method. Once people are in transition from system to life on their own the cost of paying the loans back may place them right back at square one. The cost of housing, the cost of life itself, and children and everything that comes with go figure it adds more. There has to be a better solution to this madness.